VtWProductions: Tales of Relevant Thought - Episode 51 + Flickr! Tales of Relevant Thought - Episode 51 + Flickr! 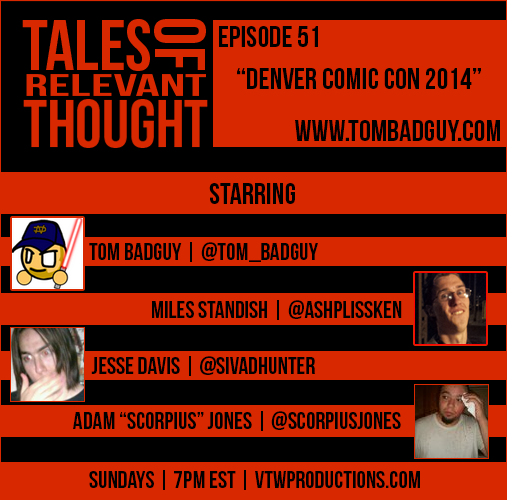 In our latest episode, the TORT gang talk about their trip to Denver Comic Con 2014! We swap stories of purchases, celebrity meets, night life in Denver and much more! It's a special hour and a half ep so make sure you sit back and soak in the fun and geekdom.